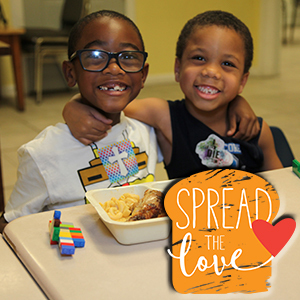 Donate today to help us "Spread the Love!" One in five families in South Louisiana is at risk of hunger. Your gift today provides nutritious and easy peanut butter for children, seniors, and families in need. Thanks to our invaluable food-industry partnerships, we can purchase food at low cost, stretching your donations much further. Donate today and give some much-needed sustenance to those who need it most.